Hi! 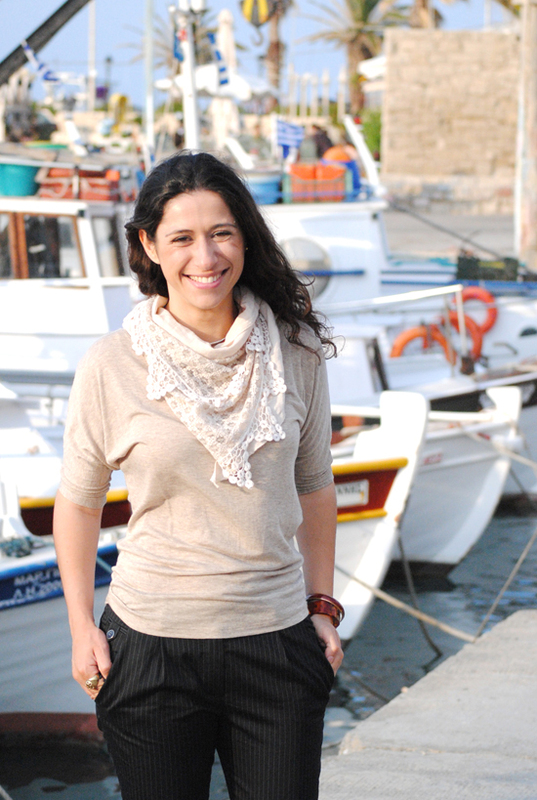 I'm Eleni and this is my blog about Greece. I've been blogging at My Paradissi for 3 years, posting about beautiful interiors, amazing outdoor spaces, pretty hotels, decor ideas and tips, arts, crafts, diys and lots more (see for yourself ;). I live and work in the island of Crete, but spent a considerable amount of time in other greek cities, studying and working, including capital Athens. 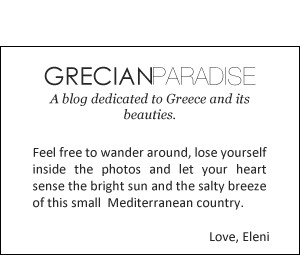 I felt it was high time I created a blog where I'll be posting only Greece oriented things, so GRECIAN PARADISE is born. This place is brand new (thus the limited content) but will be updated as often as possible with projects and ideas from Greece, as a complementary page to My Paradissi. In this blog, I want to go past design (which is and will remain my primary concern) and introduce you the greek way of life, as in food, habits, music, ideas and so on. I'd like to make clear though, that this is, by no means, a travel guide for, alas, I have not yet traveled all around this country (no matter how small it might be). I'll be writing about places, space and idea(l)s the way I feel them and I only seek your enjoyment and dreaming. Posts that have been reviewed and photographed by me are mentioned as such. Please, feel free to send me any thoughts, questions, suggestions you might have. You can contact me through this email.